If you’re still carrying around a Galaxy Note 7, you should return it ASAP, because it’s about to become completely useless. Samsung on Friday announced that it will be issuing a software update to US Note 7s that will prevent the phone from charging or working as mobile devices. The move comes a little a month after Samsung capped charging on US Note 7s at 60 percent, and two months after Samsung fully recalled the phone because of explosions. 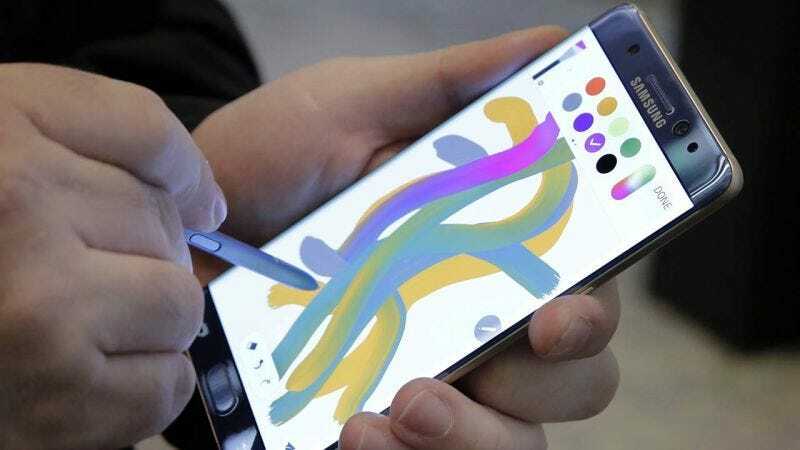 In the months since, Samsung has offered customers financial incentives to exchange their phones and has issued updates in various countries that have made the phones less useful. But even with the feds banning the phone on US flights (and airlines in other parts of the world following suit), there are still people that have decided to keep their exploding phones. The good news for the rest of us is that with this update, they won’t have a choice. The phone will essentially be worthless. Here is Samsung’s complete statement, emphasis ours. Updated 12/9 12:29pm EST: According to The Verge Verizon is refusing to pass along the update to Note 7's on it’s network. Verizon will not be taking part in this update because of the added risk this could pose to Galaxy Note 7 users that do not have another device to switch to. We will not push a software upgrade that will eliminate the ability for the Note 7 to work as a mobile device in the heart of the holiday travel season. We do not want to make it impossible to contact family, first responders or medical professionals in an emergency situation.